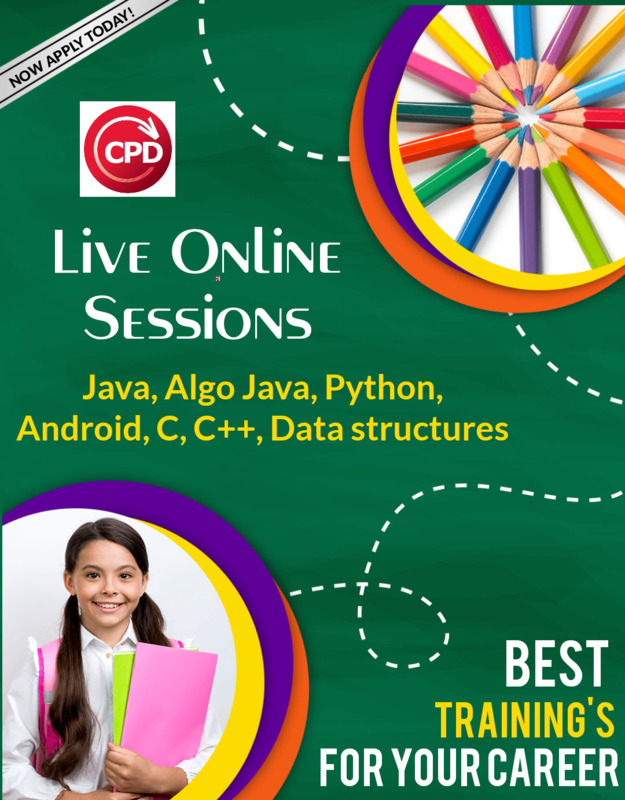 CPD Technologies is managed by a team of IT professionals, who offers the best professional training in information technology with over a decade of experience in computer education. CPD technologies provides the quality service that exceeds the expectation of learners and is committed to learner’s satisfaction, to fulfill the requirement of the current industry. We are expert in understanding your aptitude and identifying your talent and then nurture you for technical excellence so, offers the right training to all students either they are new to the industry or looking to improve the skills. CPD trainers are expert in their respective fields and stay connected with the industry with one medium or other. We impart real world experience to our CPDIAN as well as are keen on the success of each of them. We traine you in optimized period of time with comprehensive and accurate training. The goal of our training is to equip the CPDIANs with practical skills in various trade therefore they are prepared to put theoretical knowledge to practical use. CPD offers an opportunity to the students by providing them the best training, a learning environment with latest hardware and software technology, the best infrastructure and the separate R & D department. CPDians learns the complete cycle of software development which opens many career doors other then the development for their placement. CPD Technologies is responsible for adding professional skills sets to students, making them capable of achieving higher goals and become successful in life. A completely dedicated team with industrial consultants is continuous engaged in market research to study future trends and generate placement opportunities as per the industry requirement. To know more about us and give your career a new dimension, visit us today.